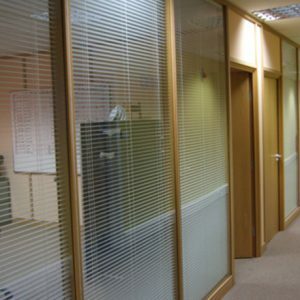 Suspended Ceilings for your Office Premises – Yay or nay? There are a range of reasons why suspended ceilings are a popular option for UK businesses. 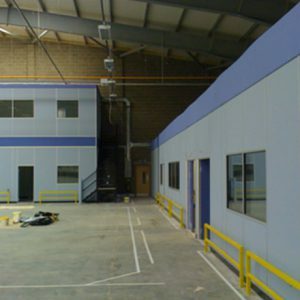 Whether in a retail, commercial or industrial setting, dropped or suspended ceiling systems allow you to hide necessary infrastructure while ensuring that it is easily accessible. Electrical work and wiring – It is far easier to carry our electrical work and wiring when much of it can be easily hidden. The cavity above drop ceiling panels is perfect for this and also leaves room for alternations without damaging the ceiling of the building. Safety – Suspended ceilings have a lot to offer from a safety point of view. They are particularly good for ensuring fire safety and will, in fact, help you to achieve a fire rating. Sprinklers can also be concealed behind the tiles of a suspended ceiling ensuring that safety protocols are in order but well hidden. Cosmetics – Selecting the right tiles for your building can add character to your office. The tiles are also easy to replace individually if any become damaged. This is also useful if you decide to remove the whole lot and replace them with new ones. And the best part… the existing structure can be left in place as this happens. Tiles can also be removed and cleaned to keep your site looking clean and professional. Easily installed and affordable – There is little disruption to the working environment when installing a suspended ceiling. They are easy to put up and can be constructed quickly making them ideal for hiding the likes of exposed ducts and vents in as little time as possible. Reduces room space – At least several inches of ceiling space is lost when installing suspended ceilings. This reduces the space you have to play around with and can make it feel claustrophobic. Over time – Suspended ceilings that have been up for a long time tend to end up sagging and becoming discoloured. Once this happens they will require frequent maintenance. 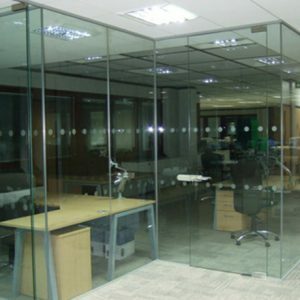 Suspended ceilings vary depending on your office space and the general feel you would like to give a room. As an office solution, the practical benefits of being able to make electrical changes with little disruption will be a massive plus. It is particularly beneficial to those who cannot afford to repair and repaint their ceilings on a regular basis. The cost of suspended ceilings is reasonable and will save money in the long run. Reducing the size of the room, however, may result in a stuffy environment. For more information on suspended ceilings get in touch with Modular.